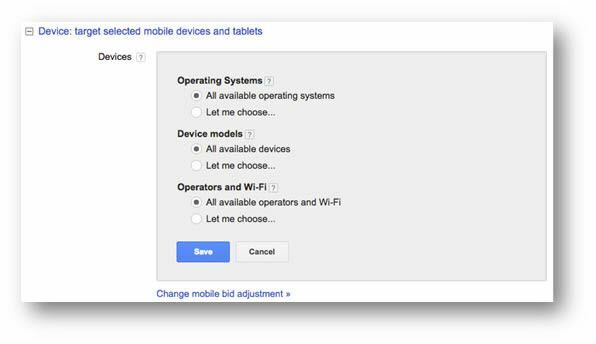 There are three types of device category in AdWords; Desktop, Mobile and tablet. Google launched enhanced campaigns back in 2013, once this change was implemented it became much harder to target devices individually. This guide covers the different device types, providing guidance around each one and showing you the options available for targeting them. The rising prevalence of smart phones like Apple iPhones and Android devices has permeated the modern world. These devices full web browsers and consequently provide a practical way for people to access the Internet. The ease of access to the net has ushered in a new era for net users which business owners and content providers have been have been trying to catch up with for a while. The introduction of tablet devices to the world when Apple released the first iPad also contributed to the shift we see in Internet usage. This combined with mobile devices has lead to a huge range of screen sizes and compatible technologies have created a completely new set of requirements for web designers and SEOs. This has forced website owners to create websites that cater for a growing range of screen sizes, because new phones and tablets keep being released such as the ‘phablet’ devices which blur the lines between phone and tablet. We cover the technological solutions to this in web design in an article on responsive and adaptive design types. This has had an impact on SEM / PPC as well as SEO… One of the main problems that this posed for SEM account managers is ‘user intent’. User intent typically changes between devices and other factors such as time of day and location can amplify this. For example; in some industries such as finance, users are typically less likely to convert when on mobile devices for things like home loans and personal loans. However a mobile user is more likely to have high value for your business if you run a restaurant or store and they search for your products or services while physically near your business location. You might also see lower CTR for mobile users in campaigns where ads are not targeted to mobile user intent. But its not all bad news, mobile users are often cheaper to acquire and Google provide unique ways to target them. 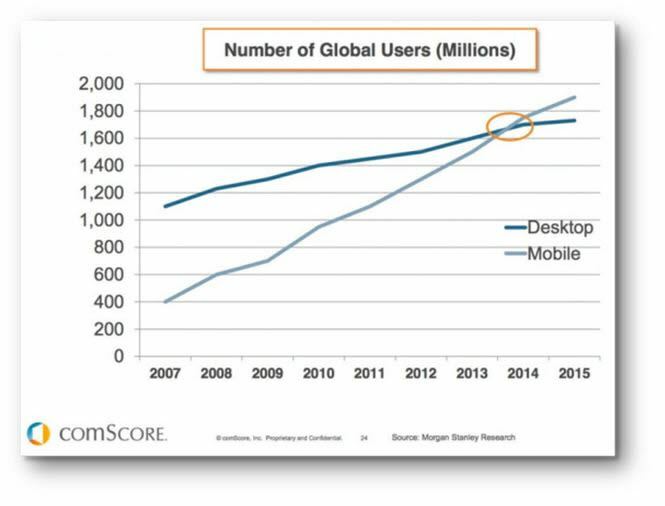 For a business trying to encourage phone calls or app downloads, increasing mobile traffic is a blessing. By default, all devices, all operating systems, and all operators are selected, but you can expand these options to target these more specifically. Below we dive into each of these options a little deeper. 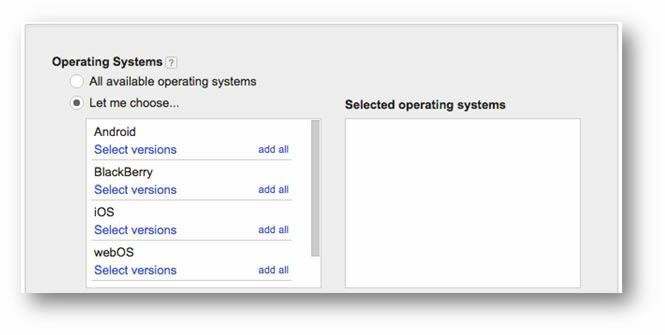 Clicking “Add All” will add all OS (Operating System) versions available. Again there are not a huge amount of reasons to target specific models of mobile or tablet devices, but targeting only mobile or tablet devices can be very effective in certain industries. If you notice that users of a certain device model do not convert or have very low ROI, it may be worth building campaigns to exclude these. Building campaigns around carriers are useful for people looking to advertise to specific audiences, if for example you want to sell ringtones to mobile users on a specific carrier. Wi-Fi only campaigns might be more relevant to advertisers who have high bandwidth usage or who want users to download larger files. Consequently, if you are struggling to compete for good positions for competitive terms, consider focusing on something other than desktop traffic. For most advertisers Desktop traffic is the ‘bread and butter’ of their paid traffic. We have covered the growth of mobile, but this something that isn’t slowing or stopping anytime soon, so if you are not currently setup to deal with mobile traffic you should consider resolving that! Mobile traffic is generally cheaper and because you can set mobile bid adjustments, capitalising on this can be useful for those advertisers struggling to compete for desktop traffic. Mobile provides opportunities to target people looking for a physical store location, or to take advantage or research phase searches. Tablet traffic is unique in that you cannot set bid adjustments for tablet devices or create campaigns to target tablet devices (on the search network). Depending on what your business sells, Tablets may offer good conversion rates… More and more people are using Tablets at home instead of traditional laptops and computers, so this is often the device where the conversion takes place. The mix of traffic that you consider optimal will depend on your industry and how your business operates. Businesses that sell products online will be easily able to quantify the value of traffic from devices, but lead generation sites may struggle to define the value as accurately. In cases where you send paid traffic to other sites, there may be the need to define a set of ratios. For example, you may decide that you want to keep mobile traffic to 40% of total traffic; we discuss how to do this in the section on ‘Mobile Bid Modifiers’. Keeping an eye on your traffic ratios over time can also provide an indication of where things are going, if mobile traffic rose from 20% to 50% over a short period, you may want to cap this. 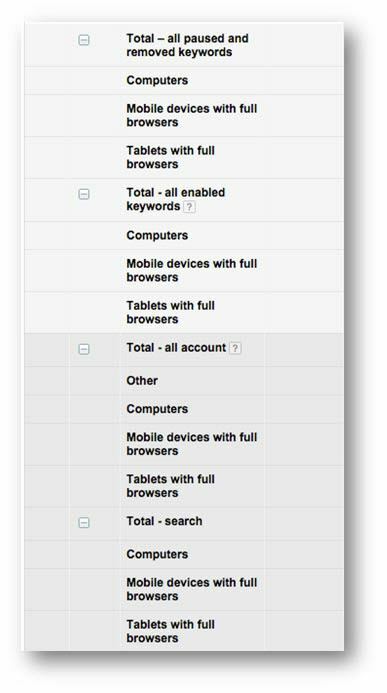 By clicking ‘device’ in the drop down menu under ‘segment’ AdWords will show you per keyword (or whatever component you are segmenting) the values for each device. All of this data can be exported into CSV or Excel files and managed there should you choose to do so. Mobile bid modifiers allow you do up or down bid for users searching on mobile devices, the original bid is the standard bid for the campaign, ad group, or keyword. For example; if you have a CPC of $10 for a keyword and you have an ad group mobile bid adjustment of -30% the CPC bid on mobile devices will be $7. Mobile bid adjustments can be set between -90% to +300% with the exception of a -100% bid adjustment which will stop mobile traffic. This is largely the only lever that you can use to control mobile traffic, especially for Search campaigns. There are a range of other bid adjustments, such as ad scheduling and location bid adjustments. These all work in conjunction with one another and stack up, so be aware of this when setting bid adjustments at multiple locations in AdWords. Typically the lower level bid adjustment takes precedent when mobile bid adjustments are set at both ad group and campaign level. So if you have a campaign bid adjustment of -30% and an ad group bid adjustment of -40%, AdWords will use the -40% adjustment. The only exception to this is if a -100% bid adjustment is set at campaign level, this essentially prevents all mobile traffic and will take precedent over any ad group level bid adjustment. Custom bid strategies and all other automatic bidding such as conversion optimiser will ignore bid adjustments, except where the bid is -100%. Desktop only campaigns are, by contrast to mobile only campaigns, easy to setup. Simply add a mobile bid adjustment of -100% to any campaign or ad group that you want to remove mobile traffic from. This will not affect Tablet devices, but nothing you can do will affect them! This is difficult to achieve and Google have made it this way deliberately. In the days before ‘enhanced campaigns’, we had the ability to target specific devices with campaigns, this often informed account structure with mobile, desktop and tablet campaigns… Now that they have been “enhanced” (seriously Google?) this is no longer possible. Google have taken the view that you should be able to deal with mobile traffic and because they have a total monopoly on search there isn’t any real motivation for them to cater to what their customers want! Consequently, if you want to build a mobile only campaign now, you need to be good at jumping through hoops! There are a number of guides around the net on how to manage this but all of the options are very much a compromise that makes management more difficult. The basic premise is that you create ad groups with very low CPC bids and then use the mobile bid adjustment to increase those bids. The theory is that if the desktop bid is too low, you not get much if any desktop traffic, but the mobile bid adjustment can be set up to +300% will increase bids enough on mobile devices to gain traffic. This, although inefficient, is the only way to effectively achieve the desired result. This however may not prevent all desktop traffic entirely. Other problems are the limits on the mobile bid adjustment, which is capped at +300%, which means that the base CPC bid needs to be quite high to get good ad positions for your mobile ads, this may be high enough to also start getting front page listings for desktop. It is good to calculate both and test to see if they both return the same result, if they do you can choose which one to implement (base cpc change or mobile bid adjustment change). Creating mobile specific ads to show to mobile users can be incredibly valuable, including click to call extensions and different CTA’s that appeal more to mobile users. For example a company providing downloads of a white paper may be better offering something different to mobile users who are unlikely to download a white paper to their phone. There are also ad extensions that can help assist with mobile device targeting such as call extensions that add a clickable phone number to ads or location extensions. If your website sells products or services that are big purchases, the trend in user behaviour will likely be to make the purchase on a non-mobile device. Therefor understanding how many users begin research and have their first contact with your brand on a mobile device… because in this example, pausing or reducing the non-converting mobile traffic may result in a decrease in conversions for non-mobile device.